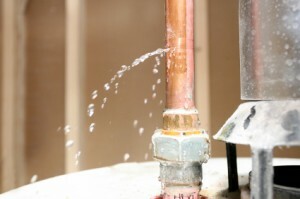 Finding an emergency plumber can be a difficult task. This is because plumbing emergencies never seem to happen at a good time. Your plumbing system is a vital component of your home and it works for you 24/7 to provide you with clean water and waste drainage. However, your plumbing, can sometimes fail and put you in a dire situation. Situations such as flooding, drain clogs, sewer drain blocks, toilet clogs, leaking pipes, broken pipes, roots in drain, etc… These problems can happen at anytime, but seem to often happen in the evening or on weekends. When an emergency plumbing situation occurs, you don’t want to be scrambling around at the last minute looking for a qualified plumber to come to the rescue. To avoid dealing with your emergency at the last minute, take some time to locate a qualified plumber that you feel comfortable contacting to take care of your problem. You may already have a plumber that you use on a regular basis. If you do, just make sure that they are available 24/7 and provide emergency service. If you need a qualified plumbing professional that provides 24/7 emergency plumbing service, please call Protek Plumbing and Drain Specialists at 941-475-3949. We are always available to serve you! Protek is proud to serve Rotonda West, Englewood, Placida, and SW Florida. We do it all and we do it right!